Incredibly stupid if they extend him now. He’s as injury prone as they come. Full of incentives; they would’ve extended him already if they were permitted. They’re already clearing cap space for when the time comes. Hard to understand why a GM wouldn’t take advantage of that 2 year window. With CBA negotiations on the horizon and rumors of a possible work stoppage, I would not be in a rush to extend those guys. This guy has yet to prove he can stay healthy for a full season are they really going to sign him to an extension early? He played all 16 games his rookie year, so that’s false. Neither of his injuries are chronic. Pay him $30M now (and spread the cap hit better), or pay him closer to $40M after another year. Easy choice. 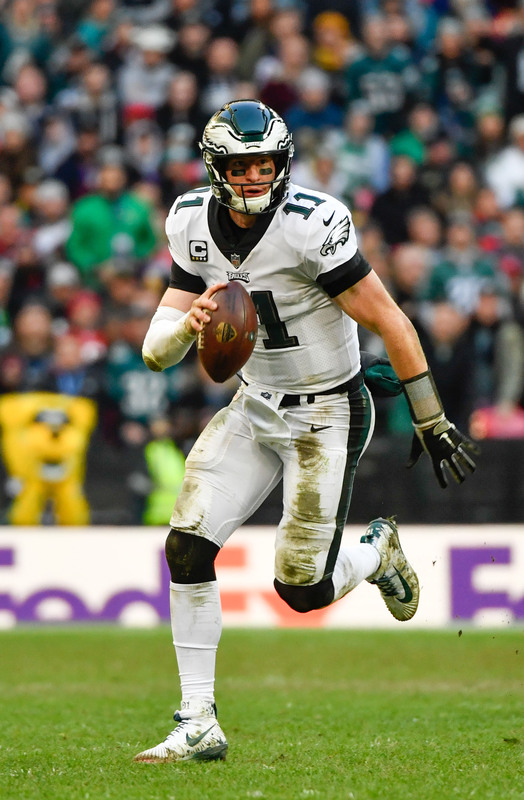 Bailing on Wentz means hitting the reset button and mailing in the next 2+ years because there’s no Super Bowl-level replacement lying around. Exactly! He tried to play through a shredded knee and then did play through a fractured back. Those are not minor dings a hypochondriac gets through, the guy has been a warrior that was cursed with two bad injuries. Howie has been a genius with the salary cap, I’m sure the contract will be incentive laden and be team friendly compared to what the market will eventually dictate if he hits the open market. Except the Super Bowl winning NF, who was already one the team. Philly should have stuck w/ Nick, traded Wentz and reaped the prospect haul that would have netted them. With his injury history id feel much more comfortable using the 5th year option and then applying 3 franchise tags if you have to. That’s 4 more years for him to prove that he’s not injury prone.